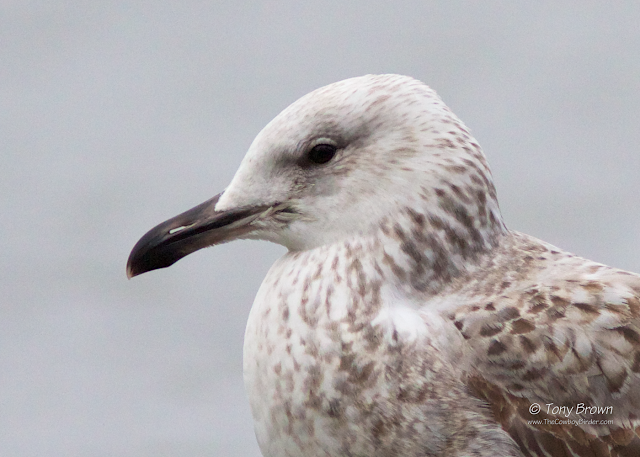 The Cowboy Birder: Two more Caspian Gulls! Back on the patch Saturday morning with the aim of mopping up a few of the commoner birds missing from the year list and I soon pick up Skylark, Linnet and Kestrel as I cross the Flats, arriving at Jubilee Pond and the terribly sad sight of two dead Mute Swans greet me! Both birds look as if they've been caught up in the wire fencing on the east side of the Pond. I believe this fencing was meant to protect the vegetation on the edge of the pond, however it's clear this fencing is a hazard to the wildfowl that frequent the pond and clearly needs to be removed - I reported the dead Swans to the City of London Corporation who confirmed a Forest Keeper team would remove the birds, lets hope they also remove the unnecessary fencing? Completing my walk around the patch and the only other bird I managed to add to the year list was a wintering Chiffchaff near the allotments in the Old Sewage Works, back at Alexandra Lake for another scan through the gulls and and I pick up not one but two 1st-winter Caspian Gulls on the lake. 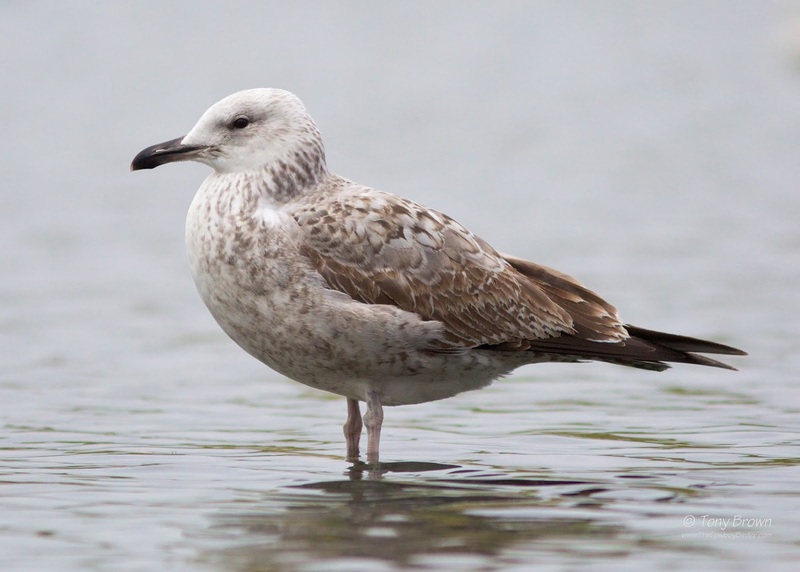 We've only ever had single Caspian Gulls on the patch at any one time, so to find two birds is a first for Wanstead and my run of finding Casps this winter shows no sign of abating as this is now my 4th and 5th birds since the 10th November, all of which have been 1st-winters. 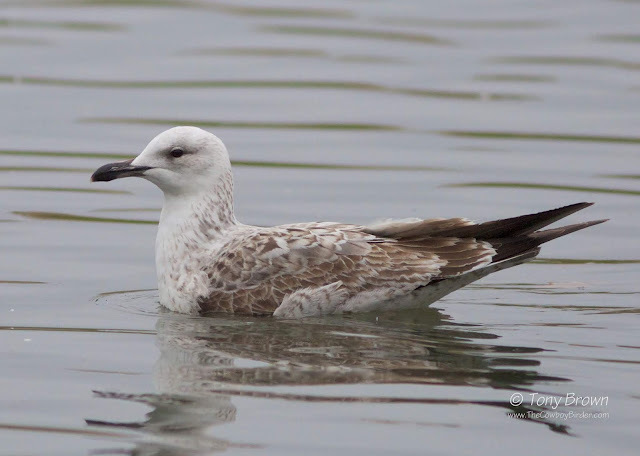 One of the Caspian Gulls was of the clean white-headed variety and stood out immediately, the other bird was a little less obvious, being more heavily streaked around the head, hind-neck, breast and flanks. Both birds showed a set of nicely uniformed wing coverts with a reddish hue and a good set of tertials - the more I see of these birds, the more I'm enjoying the subtle difference of each and every bird, here's hoping I catch up with one or two more of these eastern beauties before the winters out. The cleaner, white-headed bird of the two.